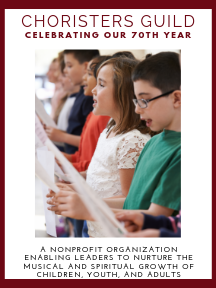 Using the text of a beautiful poem by Shirley Erena Murray, this anthem for intergenerational choirs (children, youth, and adults) features a gently flowing melody that later joins a secondary tune. The piece culminates as both melodies occur simultaneously, leading to a quiet, reflective ending. Adult singers can be substituted in the absence of children and youth choirs. This anthem was commissioned by Choristers Guild for the 2002 Choristers Guild Summer Seminars in Kansas City, Missouri and Grand Rapids, Michigan. Handbell part is AGEHR.